Today I found out the Stephen King short story Children of the Corn was originally published in Penthouse Magazine. While to date Stephen King has managed to sell about 350 million copies of his novels, he started out with quite humble beginnings as an author. After graduating from the University of Maine with a degree in English in 1970, Stephen King couldn’t find work as a teacher at first, so continued to work odd jobs, such as at an industrial laundry service. In 1971, he managed to get a high school teaching job at Hampden Academy, but continued to pursue his dream of becoming a professional writer by working on novels on the side, as well as selling some of his short stories to various magazines, such as Cavalier, Ubris, Penthouse, and Cosmopolitan. His big break came not too long after he began teaching, when Doubleday agreed to publish Carrie in 1973 (ultimately published in 1974), which was a bestseller and allowed him to be able to quit teaching and devote himself full time to writing. He followed this up by immediately writing Salem’s Lot during the summer of 1973 (published in 1975), while living in a small summer home in Maine where he’d moved to help take care of his ailing mother, who was dying of uterine cancer (which she ultimately lost her battle with at the age of 59). 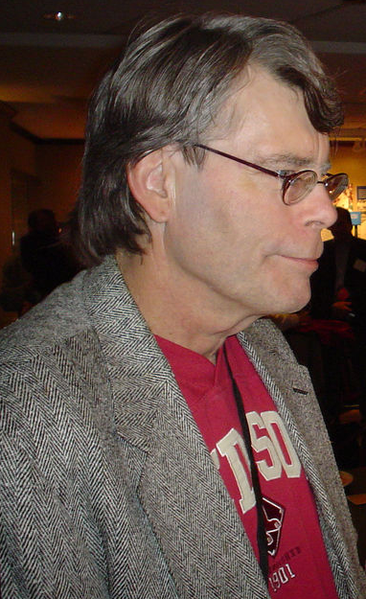 Despite this success as a full-time writer (and taking up a position as a creative writing teacher at the University of Maine in 1977), King still occasionally would write short stories to sell to magazines, including the 15 page short story, The Children of the Corn, which was published in the March of 1977 edition of Penthouse. 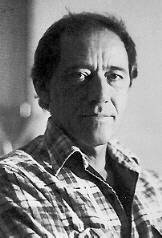 One year after Children of the Corn was published, he bundled up many of the short stories he’d written for the various magazines and put them in a book of their own, Night Shift, which would go on to win the Balrog Award for Best Collection, as well as be nominated for the World Fantasy Award and the Locus Award. It also spawned numerous film/TV/theater adaptations of the stories in the compilation including The Lawnmower Man, Graveyard Shift, Cat’s Eye (which incidentally starred 10 year old Drew Barrymore), The Mangler, and Sometimes They Come Back. Five years after Night Shift was published, Children of the Corn was adapted into a low budget short film called Disciples of the Crow. One year later, it was again adapted, this time with a much bigger budget, to the movie Children of the Corn, which Stephen King originally wrote the screen play for, but his version was thrown out due to having too much dialogue and back-story. Instead a much more violent/gory version with more conventional narrative style was written by George Goldsmith and used for the film. Another famed short story by Stephen King, The Ledge, was also originally published in Penthouse Magazine, this one in the July 1976 edition. As a testament to the fact that, as a writer, you can never really tell what people will end up liking, King actually threw the incomplete Carrie in the trash, but the draft was rescued by his wife who convinced him to finish it. It soon earned him $400,000 ($1.7M today) for the paperback rights alone and allowed him to quit his day job, as mentioned above. Stephen King allows any student film/theater group to use his stories in their productions for just $1 a story, called “The Dollar Deal”. King came up with the name “Richard Bachman” off the cuff. His publisher called and asked what name they should put on the novel and King had a book by Richard Stark on his desk, so used the name “Richard” and he had music on in the background by Bachman Turner Overdrive (You Ain’t Seen Nothin’ Yet), so he told them “Richard Bachman”. The photo of Richard Bachman that appeared in the books was of Richard Manuel, an insurance agent of King’s literary agent, Kirby McCauley. Before he went with the Bachman name, King briefly considered publishing under Gus Pillsbury, which was his maternal grandfather. “Bachman’s” identity was discovered Steve Brown, a bookstore Clerk, who became convinced that Bachman and King were the same person, despite all of King’s efforts to hide the fact, including dedicating a book to Bachman’s fictional wife, “Clauda Inez Bachman”. In order to route out the truth, Brown decided to go to the Library of Congress and look up publisher records to see if there were any records connecting Bachman and King. What he found there was a document that listed King as the author of one of Bachman’s books. Brown subsequently sent a copy of this to King’s publishers and received a phone call from King himself suggesting that Brown interview King and then write an article about if for publication. This article was published in the Washington Post. King later sent out a press release stating that Bachman had died of “cancer of the pseudonym”. Another Stephen King pen name was “John Swithen”, which he published a short story, The Fifth Quarter, under in 1973. After graduating college, King got out of being drafted due to his high blood pressure, poor vision, flat feet, and punctured eardrums, so he was labeled 4-F.
Charlize Theron, Naomi Watts, and Eva Mendes have all appeared in Children of the Corn sequels, though all uncredited. King has been married to the same women, Tabitha Spruce, since 1971. He met Tabitha at the Fogler Library at the University of Maine after a workshop. She had a work-study job there at the time. Other famous authors that were published in the Men’s magazine Cavalier, included Isaac Asimov, Ray Bradbury, and Paul Krassner, among many others. Despite today being something of a cult classic, the film Children of the Corn was not well received in its day, garnering mostly negative reviews from critics and even today has a “Rotten” rating of 39% on Rotten Tomatoes. It did, however, bring in about $14.5M vs. a budget of only $800,000. In the film, Children of the Corn, you’ll see a copy of Night Shift on the dash of Burt and Vikki’s car. Unlike the movie, in the original short story, neither Burt nor Vikki survive the ordeal. Specifically, Vikki has her eyes cut out and is murdered and “He Who Walks Behind the Rows” kills Burt after Burt discovers Vikki’s body. When Stephen King was just two years old, his father, who was a merchant seaman, went to “buy a pack of cigarettes”, but never came home, abandoning the family. Another traumatic thing that happened to King as a child, though he says today he has no memory of the event, was watching his friend get hit by a train. When King came home after this, he didn’t mention it, but seemed in shock and wouldn’t talk. Later, his mother learned that King’s friend had been hit by a train and killed while playing with King. Tabitha King is also a published author having written 8 novels, 2 non-fiction books, and various works of poetry. For prospective writers, King recommends reading and writing for at least 4-6 hours per day, every day, to become a good writer. His personal quota every day is a minimum of 2000 words before he’ll allow himself to stop and do something else if he so chooses. King’s favorite movie adaptations of his work are The Shawshank Redemption, The Mist, and Stand By Me. No, actually…it was first “published” by an 11th grader in his fiction writing class in Colorado. His teacher was a friend of Mr. King’s, having met him when he (King) was in Colorado (where he got his ideas for The Shining). The teacher passed the kid’s short story onto King, and king made it his own. Google doesn’t know what mike’s talking about either. I am Gerard Van der Leun and you will find me in the very nice acknowledgement that King wrote for Night Shift. I was the editor at Penthouse who found and purchased and published Children of the Corn…. It was a very long story and it required me to do some unusual and strenuous arguing that the story was worth the length in the magazine. But before Children of the Corn I also published, as noted, the shorter short story by Stephen King, The Ledge, also in Penthouse Magazine. At the time Penthouse paid thousands for a short story and it was, I am sure, a help to the Kings at that point. The Ledge ultimately also ended up in film as a section of Cat’s Eye. It was always difficult to get the kind of “ripping yarns” needed for a men’s magazine in those days but I remember thinking at the time that King, pitched to me by Kirby, could really spin out a ripping and gripping yarn.